Miami Party Like it’s 1984!!! 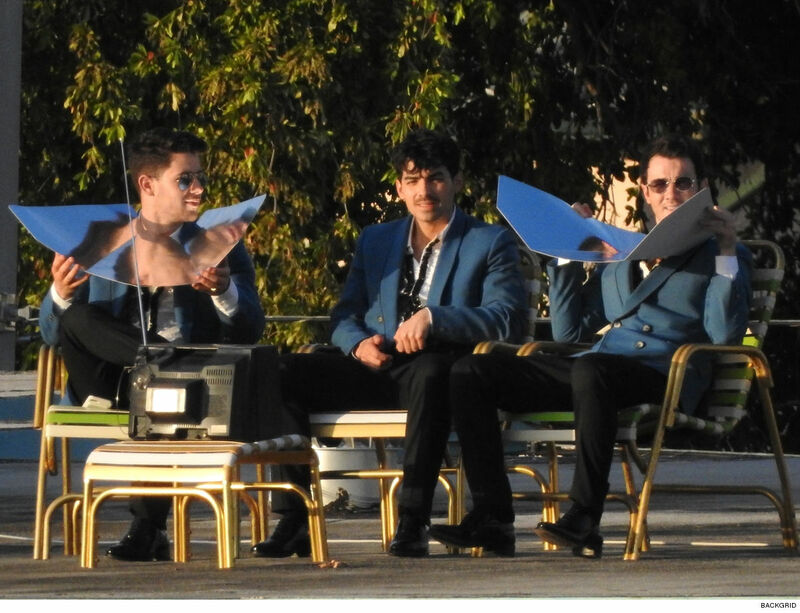 The bros were also seen wearing matching blue suits … laughing it up while sitting and holding vintage tanning reflectors. Bronze, baby!! 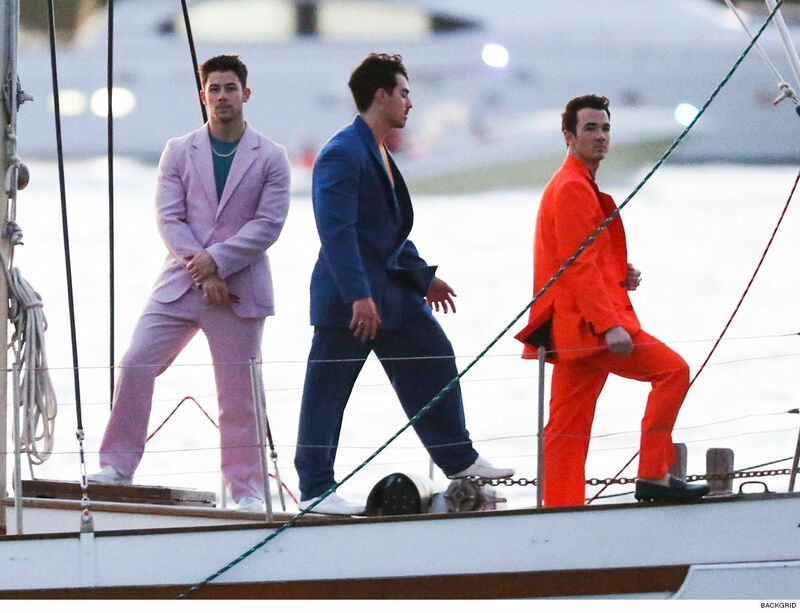 Guessing this was also for the music video … though nobody would blame ’em for trying to get some color. When in Rome! Joe was also spotted with his boo Sophie at the Prince x Unknwn dinner at Swan on Friday.